I am loving these fun and different do it yourself food bars. 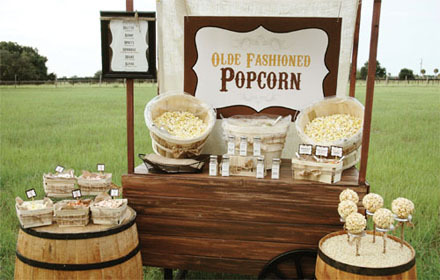 Add one of these to your next party and guests will love it. It is something interactive that guests can enjoy and it takes some pressure of you to serve or cook everything. 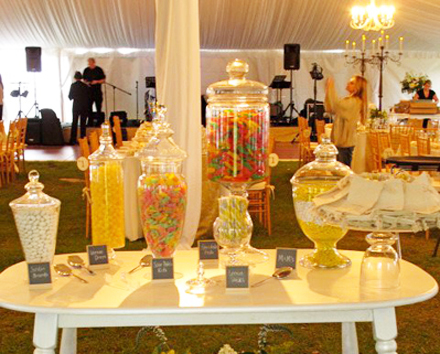 Check out some of these fun ideas and let them inspire you to set one up at your event. 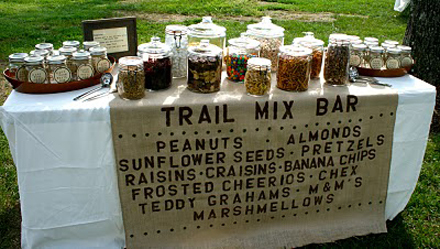 How about this creative Trail Mix Bar. Guests could make a mix to snack on at the event or to take home. guests can still enjoy mixing their own kinds of popcorn and seasoning salts. 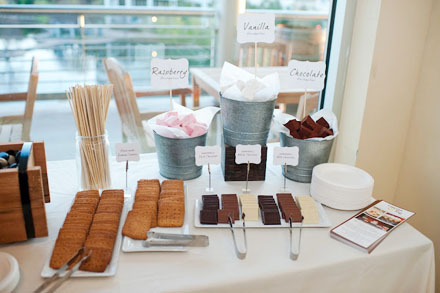 How fun would it be for guests to make their own S’mores. Just use Gel Candles for them to toast their marshmallows and supply the rest of the ingredients. This entry was posted in Uncategorized, Wanderlust Wednesday. Bookmark the permalink.